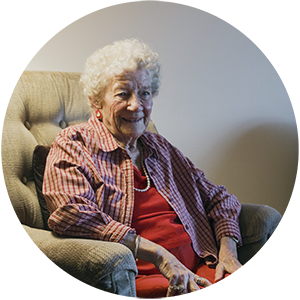 Geraldine Fait’s soft spot for the homeless in Spokane goes way back. Her late husband, Fred, was a police officer on “skid row” in the early days of the Union Gospel Mission, which was founded in 1951. Occasionally, Fred would transport men off the streets to the Mission for a meal and a safe night’s stay. He “trusted that they would be taken care of,” Geraldine says. Recently, she sponsored a room in UGM’s new Crisis Shelter under both of their names. Geraldine has chosen to extend her and Fred’s compassion for the homeless even further by leaving a bequest for UGM in her will. Partners of the Union Gospel Mission have many avenues by which they can benefit our ministries through their estate planning. 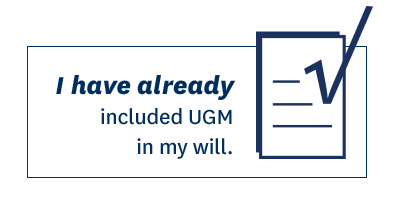 Legacy giving can be as simple as naming UGM in your will, but there are also several other options available. We can help you understand the ways you can help UGM continue to offer hope to the homeless for many years to come. If you have any questions at any step in the process, please contact Gwen Schwartz in Ministry Advancement at gwen.schwartz@uniongospelmission.org or call 509.536.3797. Bequests enable many individuals to make significant gifts that they could not have made during life. A gift of appreciated property such as securities or real estate can generate a double tax benefit: a charitable deduction for its full fair market value, plus no capital gains tax on the property. 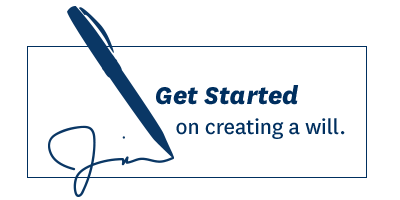 You can gift your retirement assets, including a gift from your IRA, 401k, pension or other existing tax-deferred plans. Some of these options can have tax advantages for donors over 70 ½. You can gift your life insurance policy as a legacy gift. In exchange for a transfer of cash, marketable securities, or in some cases real estate, UGM can contractually guarantee to make specific annuity payments to you or another beneficiary for life. Similar to other types of trusts, a charitable remainder trust gives UGM what is left in the trust after it terminates. The trust provides a variable stream of income to the beneficiary over time. This option may appeal to individuals who wish to make a gift but retain the property in their family. You can transfer cash or property to fund a trust that makes gifts to UGM for a number of years. A trustworthy financial planner will be able to help you navigate these options. Simple wills can be created using online tools, and sample bequest language for UGM is available here. If you choose to include us in your estate planning, please contact UGM to let us know. You can change your plans at any time, but notifying UGM helps us plan more effectively.